My week 6 for Get Messy Art Journal. 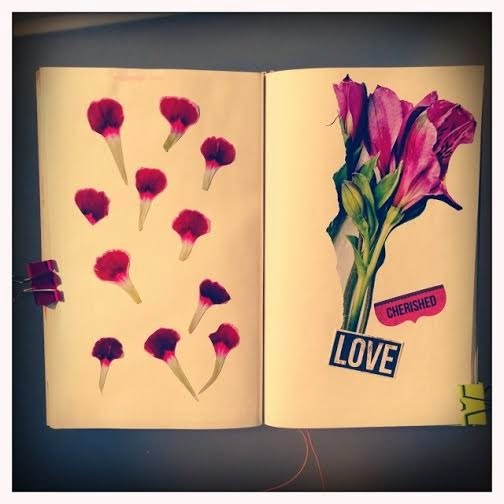 The prompt was to use dried flowers for the most Romantic Love. I didn't have any dried flowers so I cut out these from a magazine page. The colour suggestion was either pink or red.